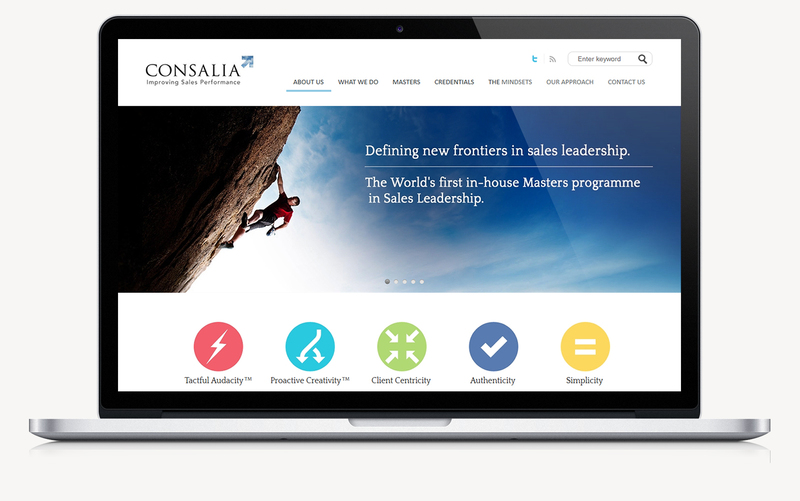 Consalia specialises in providing sales performance improvement solutions. The company operates globally and delivers tailored solutions and expert consultancy services to its clients, working closely with them to maximise their sales performance. Clients include Hertz, Hewlett Packard, Renault, Siemens and Vodafone. OMdeSIGN’s digital team was asked to develop a new online presence for Consalia. The brief was to get users to feel much closer to the organisation, its philosophy, culture and people. So we recognised the need to strike a balance between not appearing boringly corporate, whilst still presenting a highly professional look. We knew that easy navigation would be vital in order to draw users in and to use photography to express culture, environment etc so as not to overface readers with endless chunks of text. We also had to present Consalia as having a major international reach as well as being flexible and approachable on a local basis.Using the buying cycle as the theme, the challenge was to take the user on a journey by creating a natural, seamless flow to the layout of the whole site. This would mean carrying the homepage style throughout and not letting the user get lost with too much content. We delivered a stylish, clean looking site and applied the website design, functionality and ease of navigation to enhance the whole user journey experience. The website is impactful and artistic, with text layout, fonts and graphics all aesthetically combined to provide a highly professional looking, well ordered site, thereby reflecting perfectly on the culture and values of Consalia. 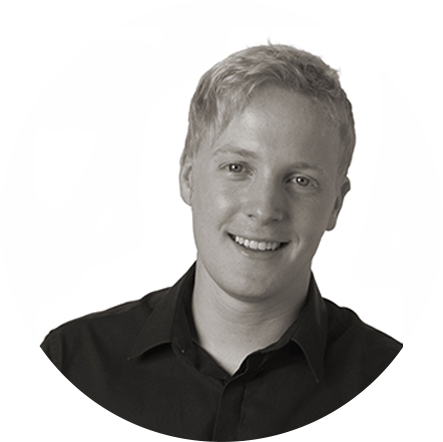 Over the past four years our business has grown immensely, OMdeSIGN have been there to support us at every stage. Their diligence and professionalism in both understanding, but also challenging our needs has been invaluable. Our website has been the subject of much positive feedback from prospects, customers and partners alike. It has been a key component of an ever expanding digital strategy and has demonstrated returns through increased inbound lead generation.